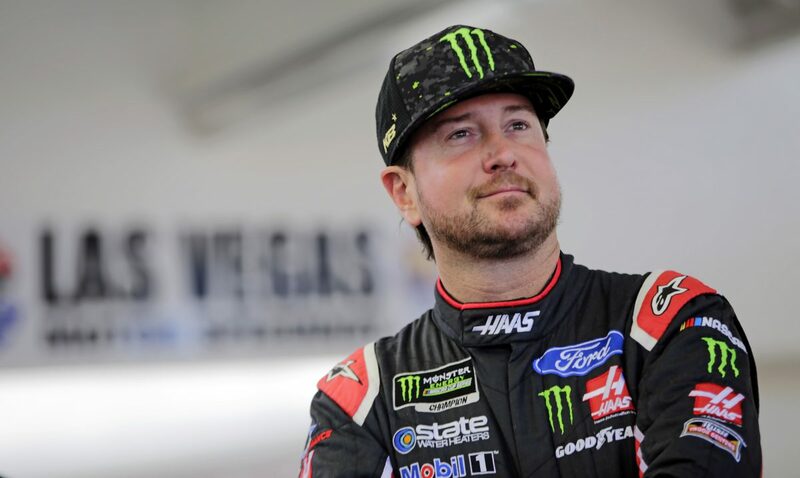 ● Kurt Busch started eighth and finished fourth, earning seven bonus points. ● By lap 21, Busch was fifth. ● Busch pitted on lap 36 for four tires and fuel, running fifth when he entered pit road. ● On lap 53, Busch was in third and said the car drove off the corners well. ● Busch started sixth and finished second, earning nine bonus points. ● Busch pitted on lap 84 for four tires and fuel, saying he needed the car a bit tighter. ● On lap 100, Busch was fifth. ● On lap 112, Busch pitted for four tires and fuel. ● Under caution on lap 150, Busch pitted for four tires and fuel as he ran in third. ● Started 17th and finished 21st. ● On lap 162, Busch pitted for four tires and fuel. A fuel probe broke, which caused gas to spill in the pit box. The rear-tire changer slipped on the gas, slightly delaying the stop. ● Busch was up to 10th by lap 180. ● On lap 184, Busch pitted for four tires and fuel and restarted 10th. ● Busch pitted on lap 218 for four tires and fuel and restarted eighth. ● He pitted for four tires and fuel on lap 234, still running eighth. ● On lap 262, Busch’s car had some rear damage after slight contact from the car of Jimmie Johnson. He was forced to pit under caution and came out 14th. ● With two laps to go he was involved in an accident with Michael McDowell. The crew worked hard to repair the front end of the car, but he finished 21st, one lap down. ● Busch finished fourth in Stage 1 to earn seven bonus points and second in Stage 2 to earn an additional nine bonus points. ● Brad Keselowski won the South Point 400 to score his 27th career Cup Series victory, his third of the season and third in a row, and his third at Las Vegas. His margin of victory over second-place Kyle Larson was 1.276 seconds. ● There were 12 caution periods for a total of 59 laps. ● Eighteen of the 40 drivers in the South Point 400 finished on the lead lap. ● A 10-minute, 37-second red-flag period just before the end of the race set up a green-white-checkered finish that sent the race into overtime.